The hvlpTAN GLO™ is ready to go anywhere at anytime. This compact all-in-one design caters to a variety of needs from the small business entrepreneur, tan technician on-the-go, or the home user. If you are looking for the best Spray Tanning System with an affordable budget, then look no further! This innovative feather light and portable system allows the user to accomplish professional results with ease and efficiency. By making evenly and accurately blended layers the results are flawless. The beautifully crafted TAN7350™ applicator is built to last. 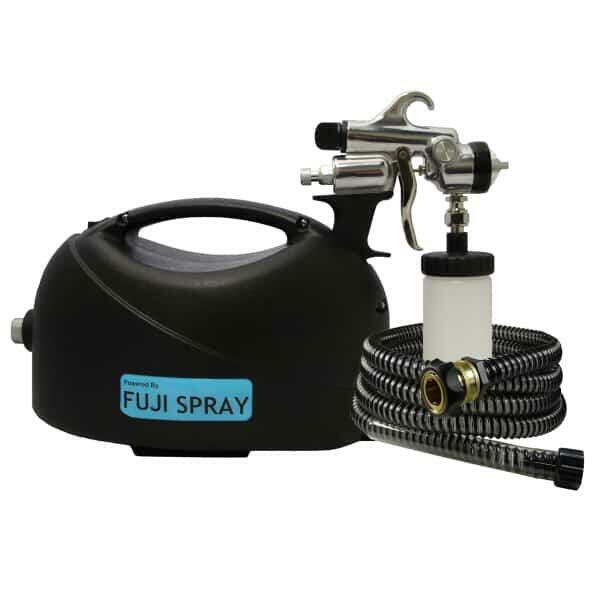 The body of the applicator is all metal with stainless steel fluid components, adjustable spray pattern knob, and adjustable fluid control. This applicator has been designed to last for many years and you can count on its optimal and reliable performance every time. The TAN7350™ sports an ergonomic Stay Cool Handle™ that remains cool to the touch even when spraying for lengthy sessions. 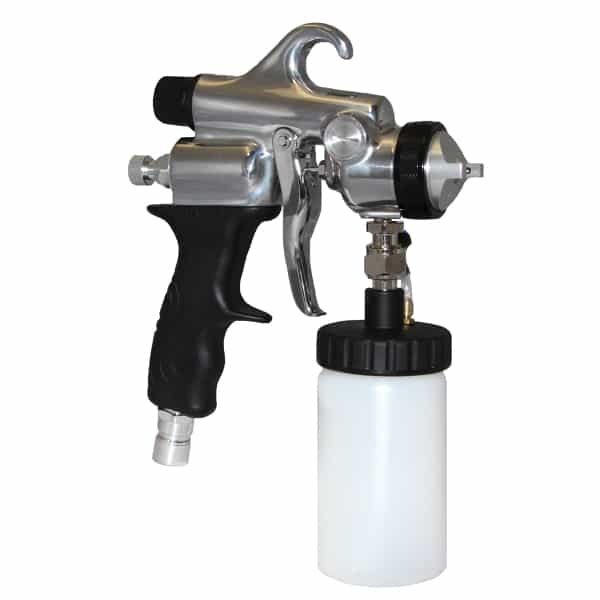 The applicator is built to continuously blow air even if the trigger is released. Easy to attach to the air hose with a quick connect fitting. The TAN7350™ applicator together with its perfect balance and sleek design, make it without a doubt a leader in the spray tan world. The powerful hvlpTAN™ Turbine is a combination of convenience, durability, and power. Weighing only 4.2 pounds, this portable feather light yet durable machine is a star performer. In addition to its high impact-resistant case, it has a gun holder slot to conveniently rest the applicator when not in use. It comes installed with a washable and replaceable air intake filter plus a reset safety switch. It is easy to operate, transforming you into a professional almost instantly. You can always rely on the optimal performance of the hvlpTAN™ Turbine.